Researchers have engineered a spider protein that could lead to anti-venom vaccines with the potential to save thousands of lives worldwide, concludes a study published today in Vaccine. “In Brazil we see thousands of cases of people being bitten by spiders, and the bites can have very serious side-effects,” said Dr. Carlos Chávez-Olórtegui of Federal University Minas Gerais in Brazil, the corresponding author of the study. Loxosceles spiders, commonly known as reaper or recluse spiders, are found all over the world and produce harmful venoms. 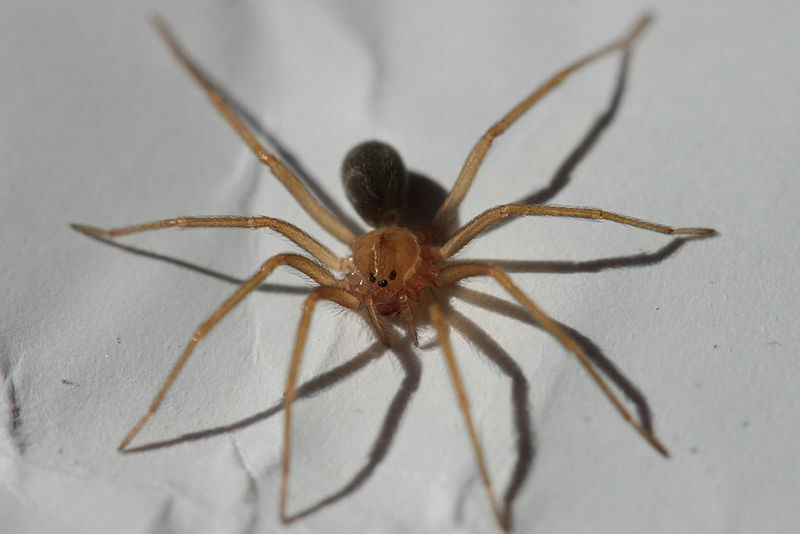 The toxic bite of these spiders causes skin around the bite to die and can lead to more serious effects like kidney failure and hemorrhaging. These Loxosceles spiders are most prevalent in Brazil, where they cause almost 7,000 cases of spider bites every year. According to a World Health Organization report, a review of current antivenom production methods indicates that the majority of antivenoms are still produced by traditional technology using animals. The production method involves injecting the venom into animals and removing the resulting antibodies to use in the anti-venom serum for humans. These antibodies enable the human immune system to prepare to neutralize venom from bites. Although this method is somewhat effective, it is problematic as the animals required to produce the antibodies do suffer from the effects of the venom. In an attempt to improve these conditions, Dr. Chávez-Olortegui and his team of researchers identified a protein that can be engineered in the lab, omitting the need to use real spider venom. 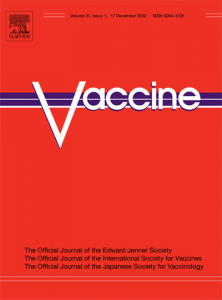 It is made up of three proteins rather than the whole venom toxin, so it is not harmful to the immunized animal that produces the antibodies for use in the human serum. It is also more effective than existing approaches and easier to produce than preparing crude venom from spiders. The researchers tested the lab-engineered protein on rabbits and showed an immune response similar to the way they respond to the whole toxin, previously experienced in the old method. 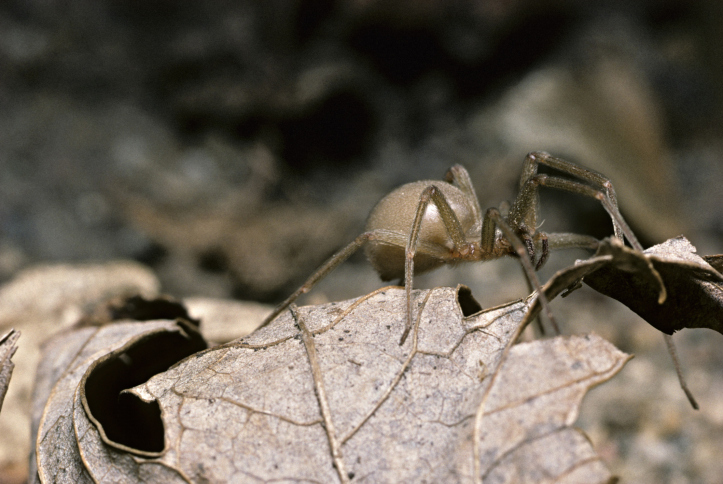 The protein was effective for venom of two sub-species of Loxosceles spiders, which have similar toxins. The rabbits were protected from skin damage at the site of the venom injection and from hemorrhaging. “Generation and characterization 1 of a recombinant chimeric protein (rCpLi) consisting of B-cell epitopes of a dermonecrotic protein from Loxosceles intermedia spider venom,” by T. M. Mendes, D. Oliveira, L. Minozzo, R. Machado de Avila, C. Duarte, C. Dias-Lopes, G. Guimarães, L. Felicori, J. C. Minozzo, C. Chávez-Olortegui [DOI: http://dx.doi.org/10.1016/j.vaccine.2013.03.048] Vaccine, published by Elsevier. Elsevier Press Officer Sacha Boucherie works closely with Elsevier’s journal publishers, editors and authors at one end and with science journalists and reporters at the other end with the aim of spotlighting and promoting interesting, topical research articles. Based in Elsevier’s Amsterdam headquarters, she holds a master’s degree in social psychology at the University of Groningen in the Netherlands. Mike, have you not attempted to create a paper yourself on your cure? It would be an easy thing to work with a PhD student or Professor at a local research institute and create a small trial. Have it published and you have real scientific proof from which to propogate your cure further - which, is really the true aim of all cures. We have been curing recluse bites in my part of the country for years using electric shock. This was developed by a local doctor, now deceased, who cured over 600 severe cases. I have taken up the torch and effected over 250 cures myself. The cure rate is 100%. I have been able to cure bites that had turned whole areas of flesh black with necrotic depressions in the center and returned these areas to normal function. I know the medical community says this does not work but they are just flat wrong. I'm not sure why there is such a negative reaction by the medical community especially as they have done no study of the method and we have. Perhaps there is some vested interest as the thousands of dollars for present poorly effective treatments would no longer be forthcoming and the price of a 9 volt battery is negligible. I would suppose this new treatment will also be quite expensive. I provide this service for free despite the attempt of grateful recipients to pay me. The device we use costs $20. These cases are not anecdotal. I am just sorry so many people must suffer due to the crass ignorance of the few. I'm interested in your method/research. Brown recluse spiders are a big issue in my area. How would I get in contact with you? Can this anti-venom be effective in systemic reactions that have never had any treatment. I was bitten in the neck then in the elbow when I tried to brush the spider off of me. The coloring was odd and closest to the chilean recluse. This happened June 17, 2011, and the hospitals and physicians had no idea how to test or treat me. So they did nothing. An intenal medicine physician told me it would go away on its own. That was 15 days after the bite. SInce then I have been in so much pain all over my body. Finally a neurosurgeon prescribed gabapentin that has helped alot with the pain. MRIs and a bone scan have revealed 3 small fractures one in my neck where the spider bit me. In August 2013 I was in the hospital with AFIB and they assured me it was not my heart causing it but something in my system. Can anyone tell me if spider venom left untreated can continue to cause problems in the body? If so, is there anything at this point that can help me.